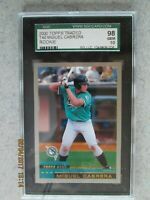 2000 Topps Aaron Chrome #10 Hank Aaron! 1963! Milwaukee Braves!